Today, many homeowners in Australia are adding a granny flat to their homes either to house their aging parents or for various other reasons. Before you hire a construction company to build this type of extension for you, there are certain considerations you need to learn to ensure that this flat serves its purpose in an ideal manner. Below, we list these items to keep in mind to educate you on this topic. The first consideration is how many rooms that you wish to place into this type of flat. You should consider at least a living room, a dining room or area, a kitchen, a bathroom and one bedroom. In certain cases, though, a flat such as this will contain two or more bedrooms and bathrooms depending on the specific purpose of the flat. At the same time that you plan the number of rooms, you will need to figure out where to position the plumbing, electrical outlets and other utilities. The layout of the utilities may influence where you locate the rooms within the flat in relation to the rest of your property. While you may require professional guidance to firm up plans on these, it is advisable to formulate your own ideas first. Placement of the entryway is another important consideration with a granny flat. It needs to be located conveniently to both the yard and driveway for those who will live in the flat. While not all of these flats require a separate entryway from your main house, it does depend upon your purpose of the flat. If your parents will inhabit the flat, you may not mind them using your home entryway, but if you rent out this extension to others, you may want the privacy of a separate entrance. 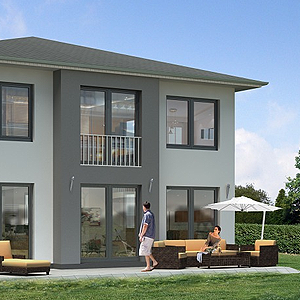 You should hire a construction company that is an expert in designing and building granny flats to ensure that yours is the best for your property and needs. In addition, a company such as this will understand which permits and permissions that you require in your area and the right way to receive both in a timely manner. If you are in search of a construction company to design and build a granny flat for you, please consult with Concept Bathrooms & Construction. We will guarantee that all of our designs, materials and workmanship are of the highest possible quality.